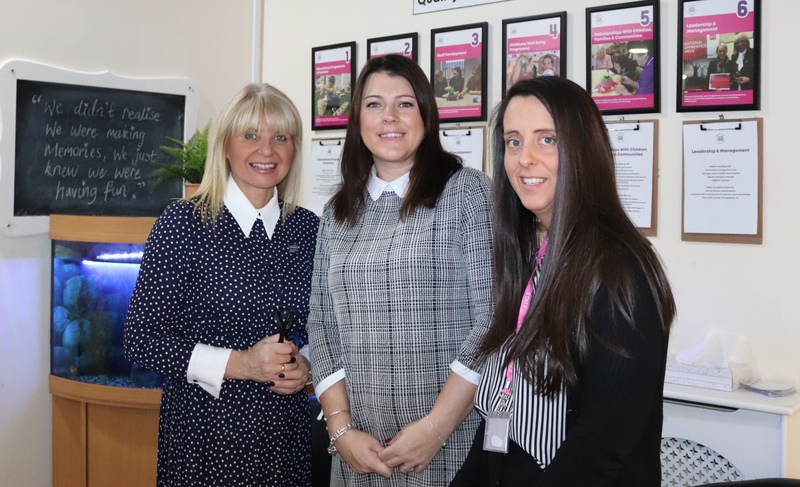 We welcomed Kate Moxley to our Media City Nursery to discuss developments around well-being for staff. Kate highlighted the importance of staff well-being and posted a tweet which resulted in all Kidzrus Nurseries embarking on well-being week in October. Since then we have continued to develop in all areas and introduced new activities to raise awareness for children, staff and parents. We now have “Feel good Friday” where staff are encouraged to eat healthy snacks and take a walk to Media City at lunchtime. All staff are soon to complete a well-being survey online and we’re excited to publish the findings so we can measure the impact and develop further. We’re looking forward to working with Kate in the near future and developing further.